American basketball player best known as the first celebrity to endorse a line of shoes. Chuck Taylor All-Stars, produced by Converse, became one of the top-selling basketball shoes in history. He was a standout basketball player in college. 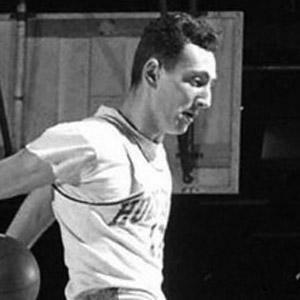 He played professionally with the Ft. Wayne and later Detroit Pistons in the industrial league. He teamed with Converse to create a new shoe that he promoted around the country. He married Lucy Kimbrell in 1962. His sneakers were eclipsed in name recognition by Michael Jordan's eponymous line of Air Jordan sneakers, but not in sales.